14 days ago, the Patriots were 10-0 and sitting pretty atop the American Football Conference with an eye towards home field advantage for the playoffs. Fast-forward to today, and boy have things changed. As a result of their shocking 35-28 defeat at the hands of the Philadelphia Eagles last night, the Patriots now find themselves as the third seed in the playoff picture. If the postseason started this week, it'd be the New York Jets coming into Gillette for Wild Card Weekend. With a suddenly dangerous game in Houston against the Texans on tap, the Patriots are going to need some things to fall their way if they want to climb back into the top two (and preferably one) and earn a first-round bye. In other words, we're all Pittsburgh Steelers fans for the next two weeks. On Sunday, Big Ben and the 7-5 Steelers are heading over to Cincinnati to take on the 10-2 Bengals. As things currently stand, the Steelers are out of the playoff picture, and a loss against the Bengals for all intents and purposes will end their season. The two teams ahead of them in the Wild Card - the Chiefs and the aforementioned Jets - have home games against the Chargers and Titans, respectively, two teams that own a combined 6-18 record. The Steelers need a win, and the Patriots need to see the Bengals slip up and take another loss. What a perfect time to do it, no? And the following Sunday in Week 15, the Steelers will host...the Denver Broncos, who'll almost surely be 11-2 heading into that one as they host the Oakland Raiders this week at Mile High. If the Steelers can pull off a pseudo-miracle and knock off both teams with huge wins while the Patriots bounce back and take care of business against the Texans on the road and the Titans back home at Gillette, Bill Belichick and Co. will be back in the driver's seat for January. There's also another wrinkle to consider, with that being the Bengals will travel to Denver in Week 16 for a Monday Night showdown, meaning that by default, one of these teams will finish at worst 13-3. 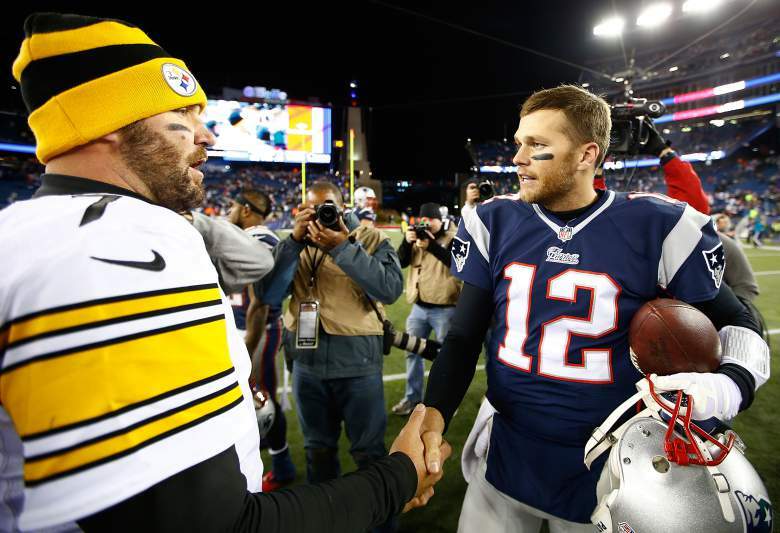 Again, if the Steelers can pee in the water for just one and possibly both of these teams in the next couple of weeks, it'll allow the Patriots to sneak back into the top-two and set themselves up to earn a bye. Of course, even if everything turns up roses these next two weeks, there's still the at Jets/at Dolphins combo to close the season, and those games won't be easy by any means.